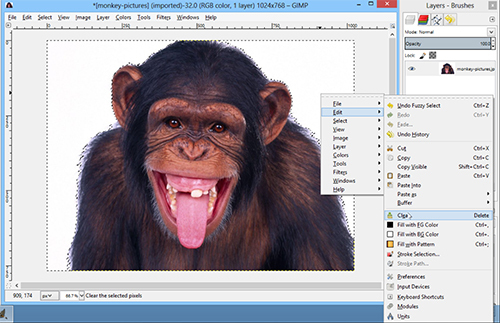 In this video tutorial we will show you how to erase to transparency in GIMP. 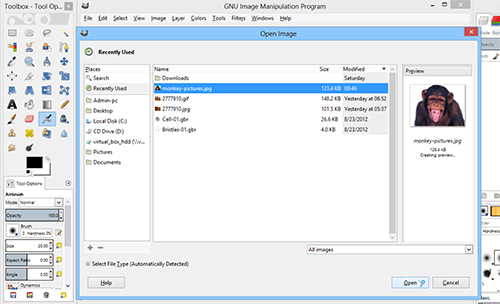 In order to erase to transparency in GIMP you must start a program. Go to the “File” menu and click “Open”. Choose the image on your computer and press “Open” button. 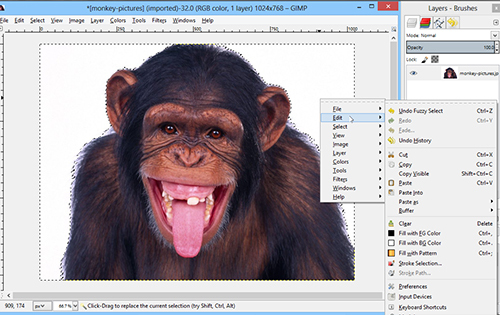 Use the “Zoom Tool” to increase the image size. Left-click on the image to zoom in. Hold the “Ctrl” button on the keyboard and left-click to zoom out. 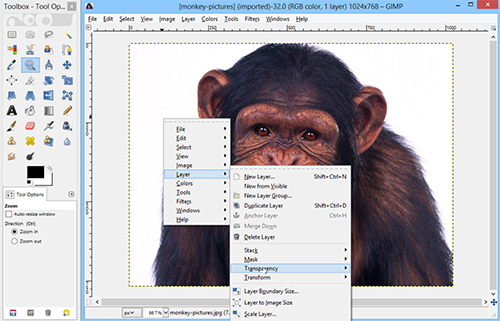 Right-click on the image and select the “Layer” option. From the drop-down menu choose “Transparency”. In the following menu choose “Add Alpha Channel” option. Go to the tools menu and choose “Fuzzy Select Tool”. Click on the background and select area you want to delete. Choose additional area if needed by holding down “Shift” on the keyboard. 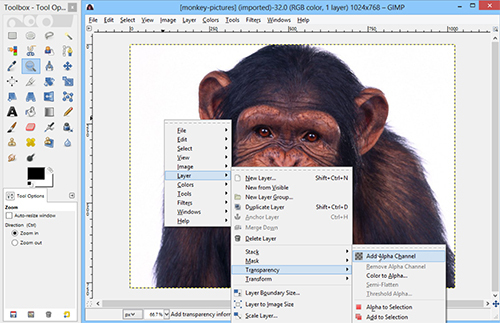 Right-click on the image and select the “Edit” option from the menu. In the following menu choose “Clear”. Now your image has a transparent background. You can save this image in one of the formats that supports transparency, for example GIF or PNG.